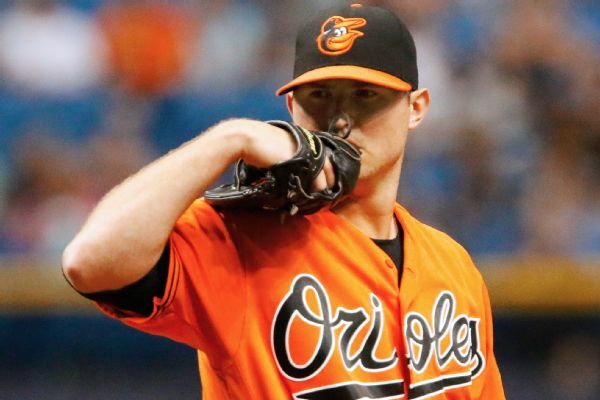 Baltimore closer Zach Britton, sidelined since April 18 with a left forearm strain, has been reinstated from the disabled list. 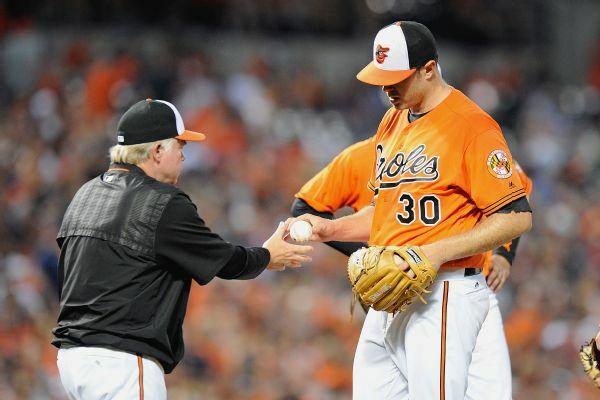 With staff ace Chris Tillman in need of a cortisone shot due to a sore right shoulder, Orioles manager Buck Showalter is pondering the makeup of the team's starting rotation. 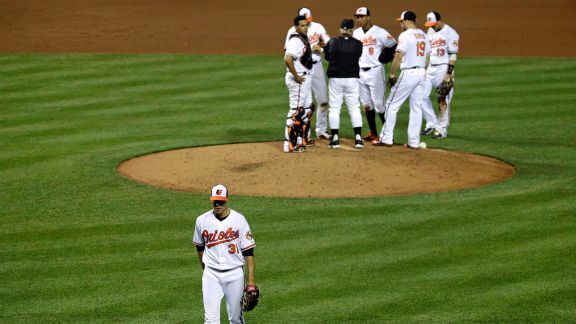 The Blue Jays look comfortable in their wild-card spot, but the other AL wild-card contenders have issues. 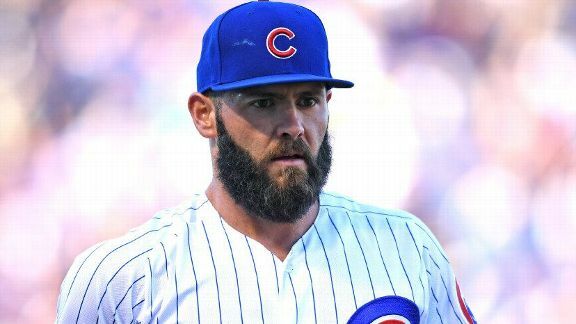 Here's a look at what those problems are. 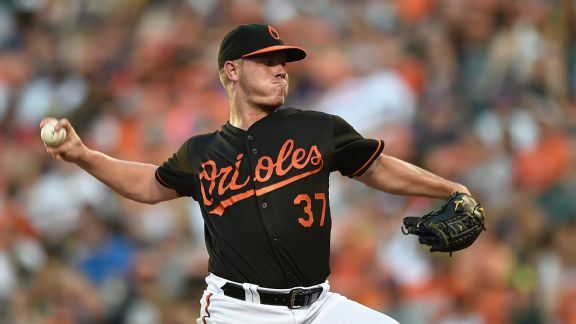 As the Orioles look to add to their rotation, it appears that Dylan Bundy will continue to get starts. 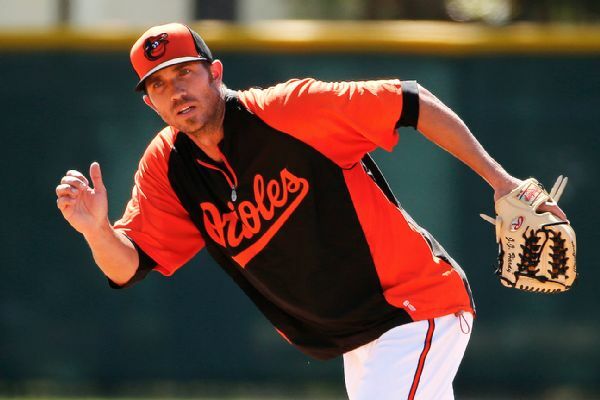 The Baltimore Orioles activated a couple of regulars from the DL Saturday, reinstating SS J.J. Hardy and pitcher Yovani Gallardo. 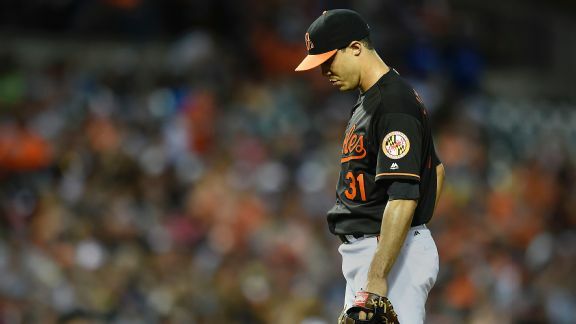 Mike Wright had another rough start and Ubaldo Jimenez was no better out of the bullpen, underscoring the Orioles' need for more pitching. 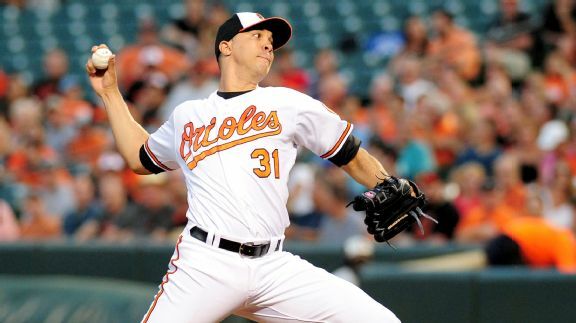 How much longer can the Orioles afford to stick with Ubaldo Jimenez? 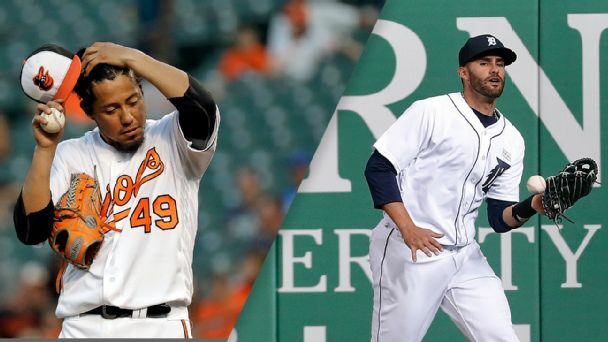 Ubaldo Jimenez handled the Red Sox for five innings, but then, as tends to happen, the wheels fell off -- along with the axles, reins and all else. 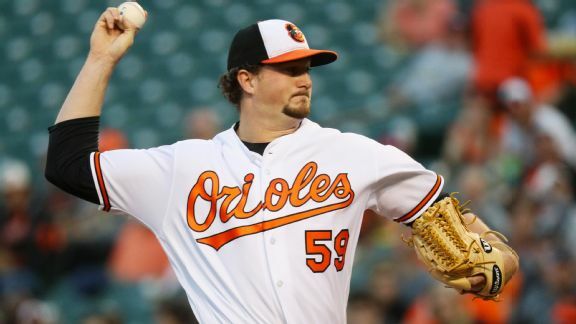 One day after giving up six runs and failing to get out of the third inning against the Red Sox, Orioles starter Mike Wright was sent to the minors.